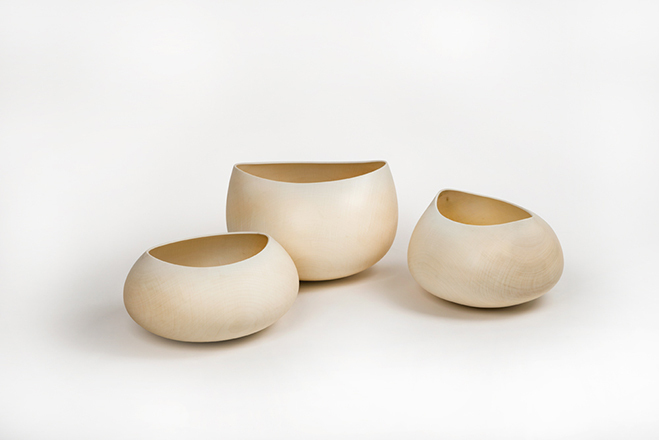 4800, Curved Open Vessels in Maple. Photograph by Rainer Retzlaff. I’ve spent a lot more time out and about, visiting exhibitions and sourcing inspiration from more diverse sources (nature being one). I think it’s vital to stimulate the brain in such a manner, you never know where your next bout of inspiration will come from! Plus, there’s only so much you can really appreciate using a computer alone. I went to an exhibit in London a few weeks back and to my surprise there was a beautiful selection of work by Ernst Garmperl. I’ve never seen his work in person, only on the computer, but it struck me how different they are compared to what I’d seen on the screen. Obviously they can still be appreciated but they hold a whole different presence when viewed in their physical form. Although aesthetically pleasing, up-close you get a sense for the details that aren’t picked up on camera. As you can imagine this makes a lot of difference and fires up your senses in a number of different ways. In the case of Ernst Gamperl, the shapes are almost so unbelievable you wonder how they’re still standing, particularly the tall vessels pictured below. He has a quote on his bio from American architect Louis Kahn, “Ask the wood what it would be”. I think this relates perfectly to his work, the idea of the tree telling him what it wants to become through hundreds of years of exposure to an ever changing natural environment. 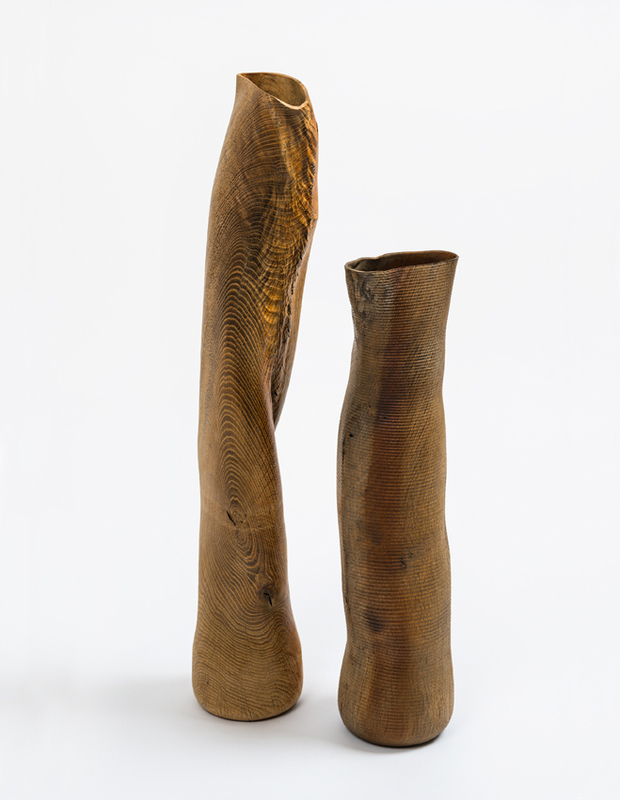 These tall vessels are both thin and wavy, with lots of incised lines. These lines are small but frequent, leaving an unusual but subtle effect on the surface of the vessel. Overall you have to admire Gamperl’s skill in creating such forms. 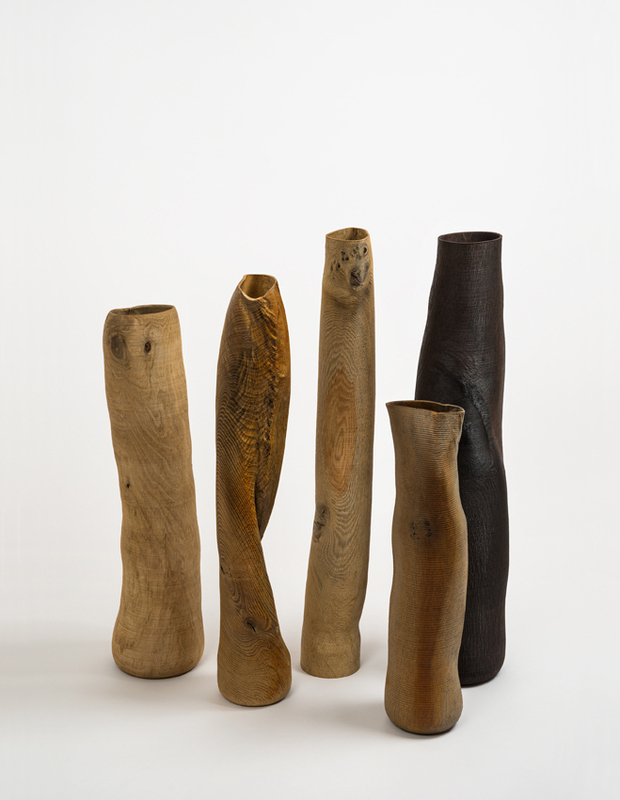 Any woodturner will tell you to create pieces of this nature is no mean feat. 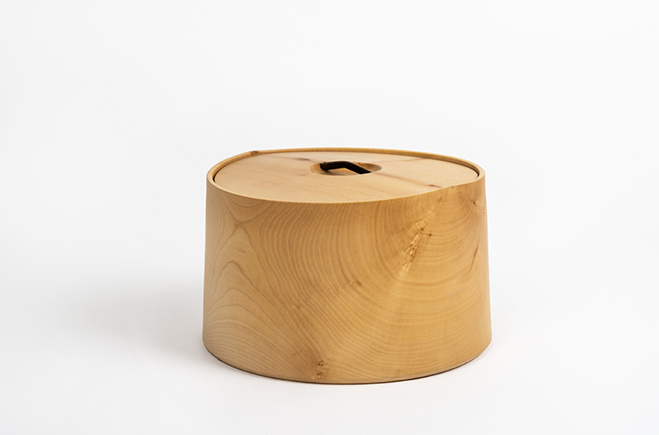 I think bold forms like this are particularly inspiring for me at the moment as they seem to have more impact. This article could seem slightly contradictory as the work here is being viewed on a computer, but I just want to point out the importance of using both to appreciate the full range of work that’s out there. If you ever get a chance to see Ernst’s work up-close, or anyone we showcase on the site for that matter, I’d certainly recommend it! 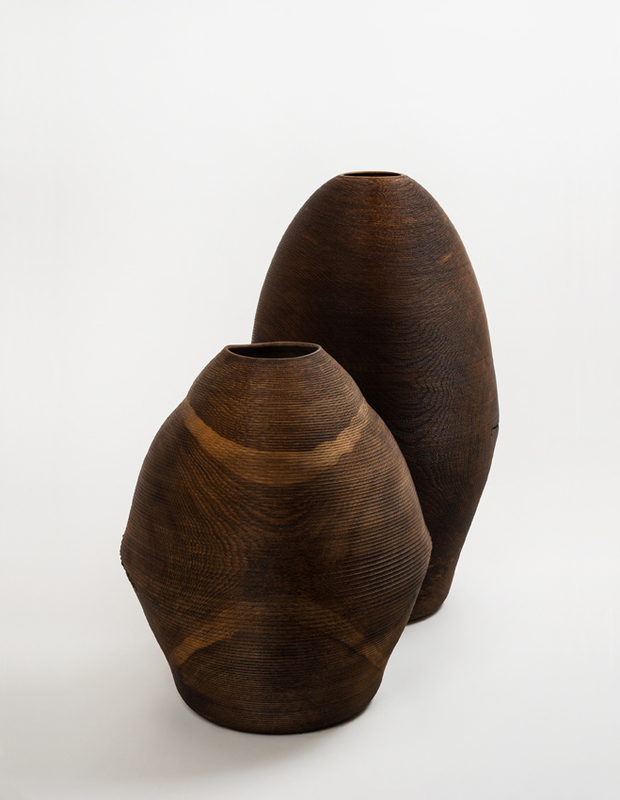 4761, Tall Vessels in Oak. Photograph by Rainer Retzlaff. 4786, Object in Maple. Photograph by Rainer Retzlaff. 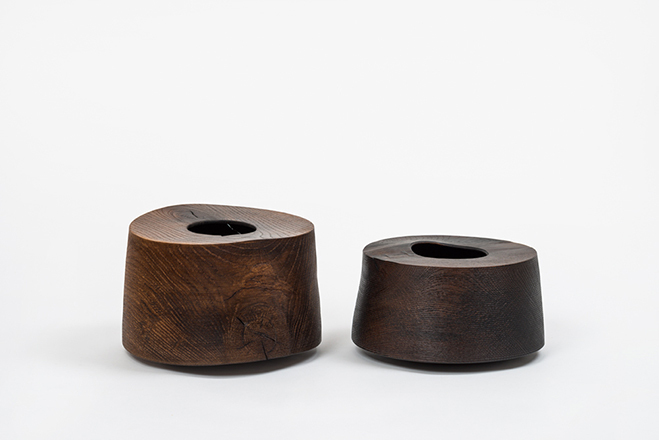 4776, Small Open Vessels in Oak. Photograph by Rainer Retzlaff. 4763, Tall Objects in Oak. Photograph by Rainer Retzlaff. 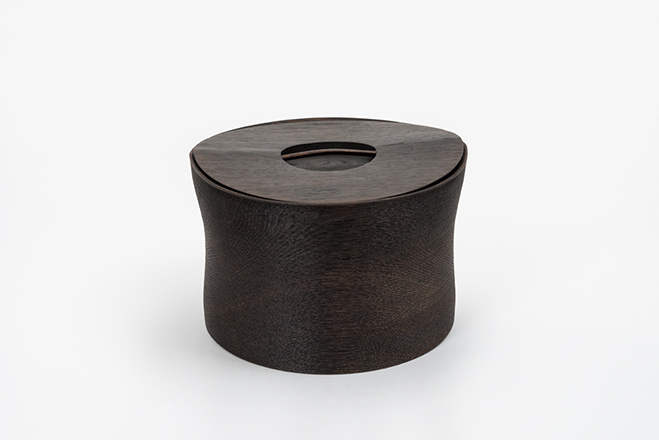 4782, Vessel with Lid in Oak. Photograph by Rainer Retzlaff. 4758, Object in Oak. Photograph by Rainer Retzlaff.